Why Choose London Metropolitan University? London Metropolitan University offer an international study experience in the heart of London. They are one of the UK’s most diverse universities with international students from over 140 different countries enrolled, and tuition fees specifically are set at very competitive prices. Additionally, there are always lots of international scholarships at London Met to ensure students from all backgrounds have the opportunity to study in London. 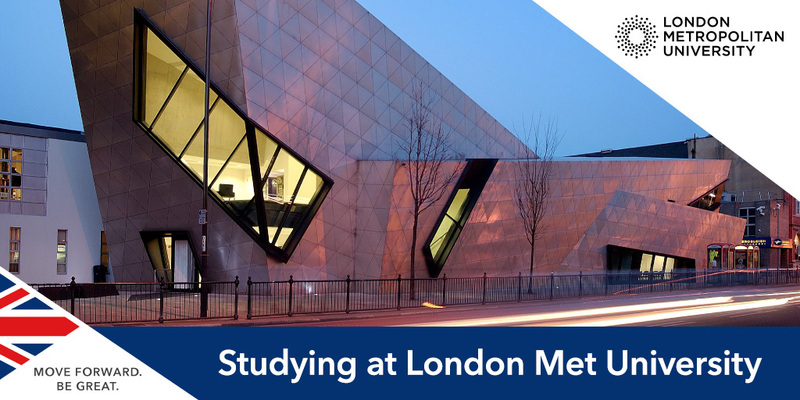 Learn a little bit more about London Metropolitan University below and, if you are interested in learning more about studying in the UK or London, arrange your free consultation with SI-UK today. Many London Met courses have received top marks from the UK’s Quality Assurance Agency and many are accredited by a wide range of professional bodies. Facilities at the University also include wood, metal and plastic workshops for art students, a simulated Bloomsberg trading floor for business students and a mock courtroom for law students. The London Met five-star promise pledges to connect students with opportunities to boost their career skills. This means putting employability at the heart of their curriculum by helping students find placements, work experience and voluntary opportunities across a wide variety of organisations. Following the results of of the 2016-17 Destinations of Leavers from Higher Education survey, 96.7% of all London Met graduates were in work or further study within six months of graduating. Lecturers at the University are leaders in their field and, following the last Research Excellence Framework, over two-thirds of the University’s research output was judged to be world-leading, internationally excellent or internationally recognised. London Metropolitan University is located at the centre of some of the most exciting areas to be in London. Enjoy the leafy suburbs of Islington moments way from the Holloway campus, or soak up the creative atmosphere of Brick Lane near the Aldgate buildings. Outside of lectures and study, students take advantage of the buzzing nightlife in east London, the beautiful Royal Parks, cheap eats in Brixton, live music in Camden and the museums, galleries and theatres dotted all over the city. If you want to study in the UK, arrange a free consultation in London or Manchester today. Use our course search to find your dream programme, browse available scholarships and learn more about UK university rankings.